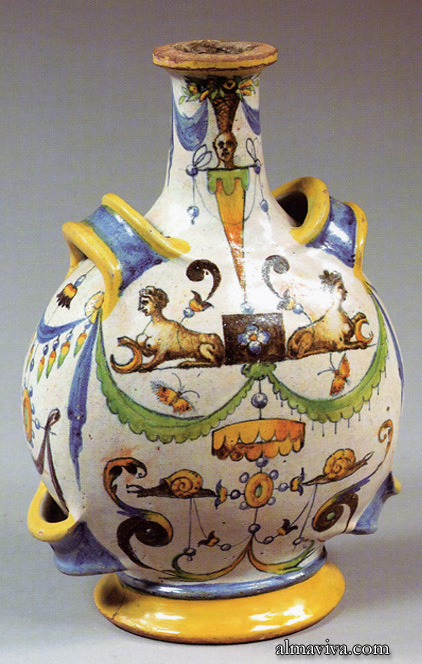 Masséot Abaquesne (ca 1510 – ca 1560) is a renowned French potter born in Cherbourg, Normandy. His work is typical of the influence of the Italian Renaissance in France. 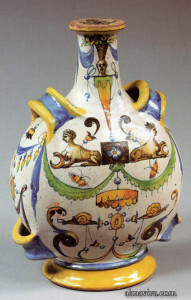 He was often inspired by mythology and grotesque decorations. His studio was in Rouen. 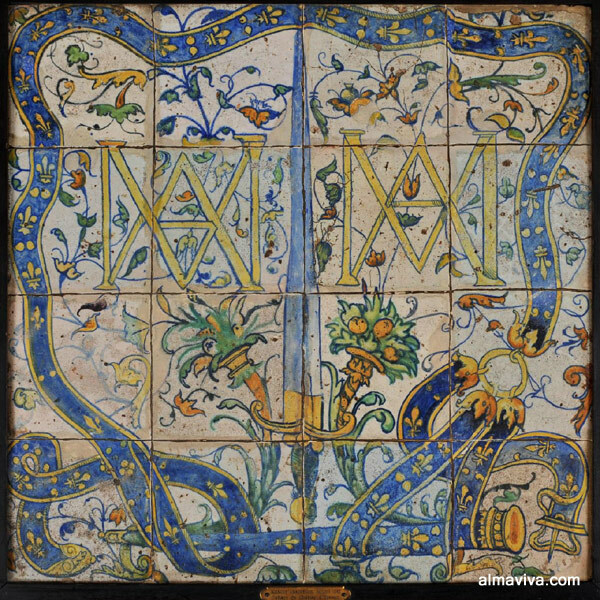 He made 2 famous and exquisite tile pavements in the 1550s. 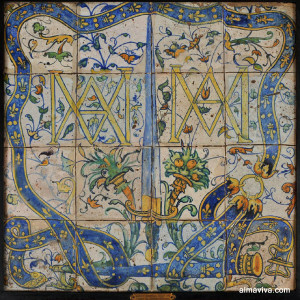 One for the castle of La Bâtie d’Urfé in central France (now partly exhibited in Le Louvre), and one for the Constable of Montmorency in his palace of Écouen near Paris (still in place). Abaquesne also produced over 4,000 apothecary jars with stout faces and wreath of fruit and flowers inspired by Della Robbia.